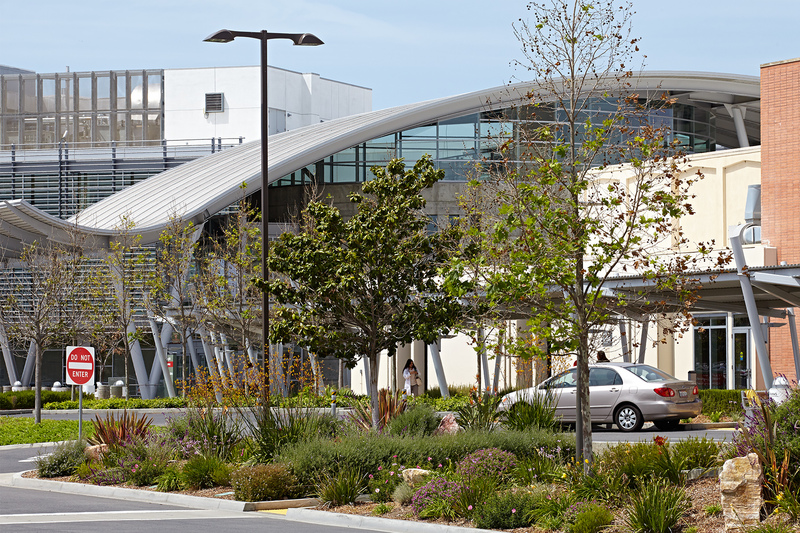 The Veterans Administration Long Beach Medical Center landscape design complements the new and existing facilities and provides a refined definition of the pedestrian and vehicular circulation system. It also creates new and meaningful public spaces within the new campus complex designed by Lee Burkhart Liu Architects. 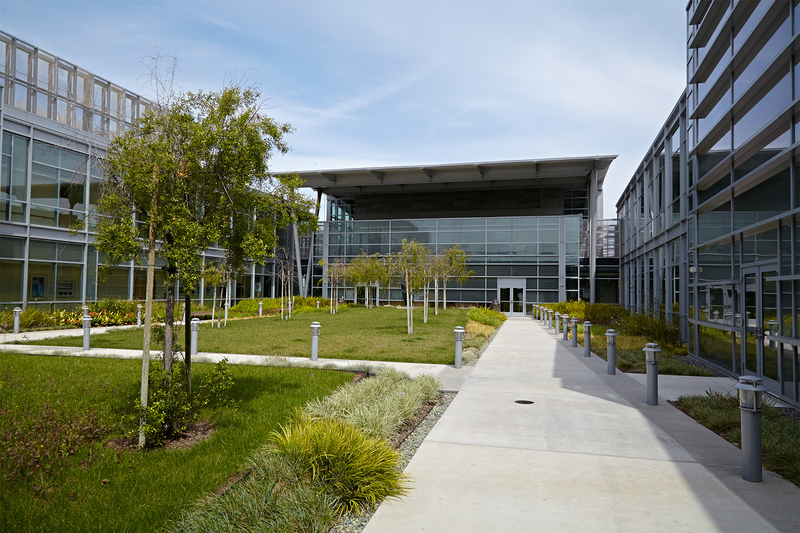 The low-maintenance plant palette is comprised of drought-tolerant, hardy trees, shrubs and groundcovers selected to establish a distinct identity within the campus. Trees planted along the entries and Magnolia Road generate a coherent sense of gateway, direction and hierarchy of road systems and reinforce overall campus way-finding. 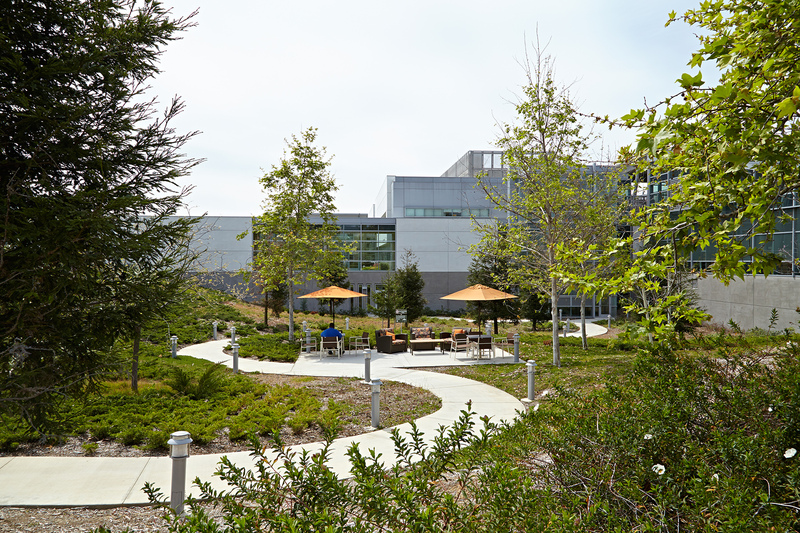 Strolling paths, courtyards, plazas and gardens form a connective network of open spaces that help to tie the campus development together. 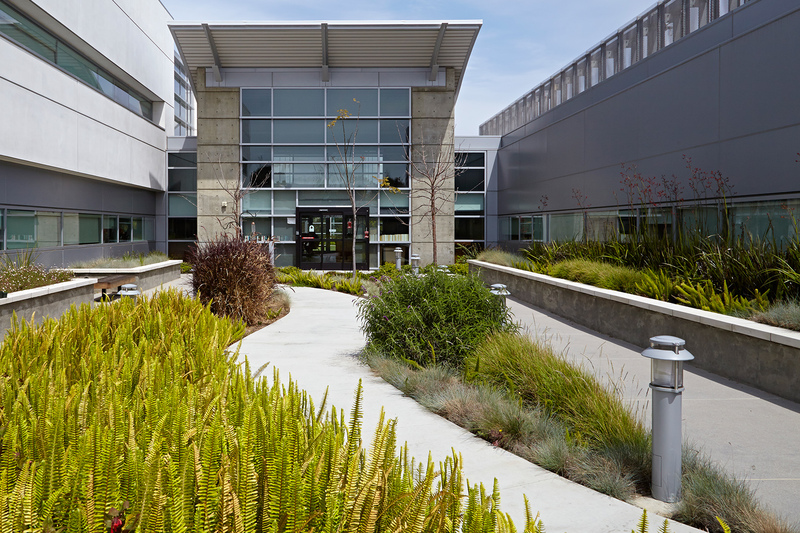 Colorful and fragrant plantings provide texture and comfort in the courtyards, serving as places for informal gathering, relaxation, and rehabilitation for patients, visitors and staff. 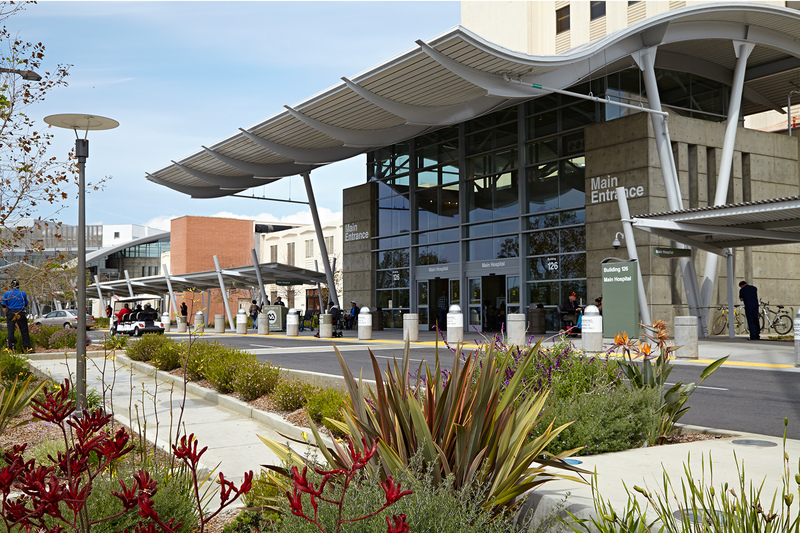 Plantings north of the lobby are designed to provide a visual backdrop for views seen through the lobby core while accommodating potential triage facilities. 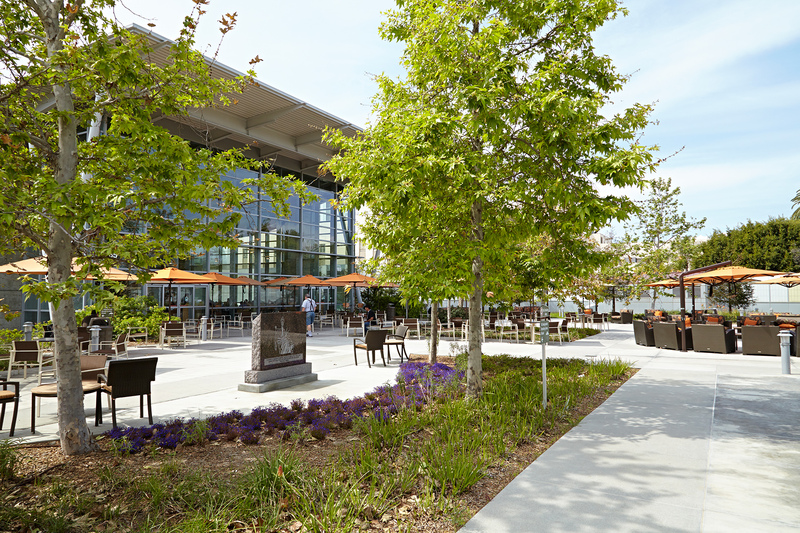 An outdoor dining plaza is designed to establish a central focus for the campus. Strolling paths and terraced alcoves emphasize the re-shaped topography of the garden. Garden rooms with benches are designed to contribute to a restful sense of place.